A recent visit to a Gothic cathedral caused me to ponder the conventional understanding of the relationship between quality, cost and time in building projects. You can only do well, so the story goes, on two of the three parameters. You can have a building done cheaply and quickly, but it will be rough. You can build quickly and well, but it will be expensive. Strolling the aisles of Cologne Cathedral, I wondered if its astonishing architectural achievements had been made possible simply by extending the time parameter completely off the scale – the building took more than 600 years to complete. The rectilinear box nestles within the urban fabric, creating a prefabricated answer to the programmatic needs of the client. 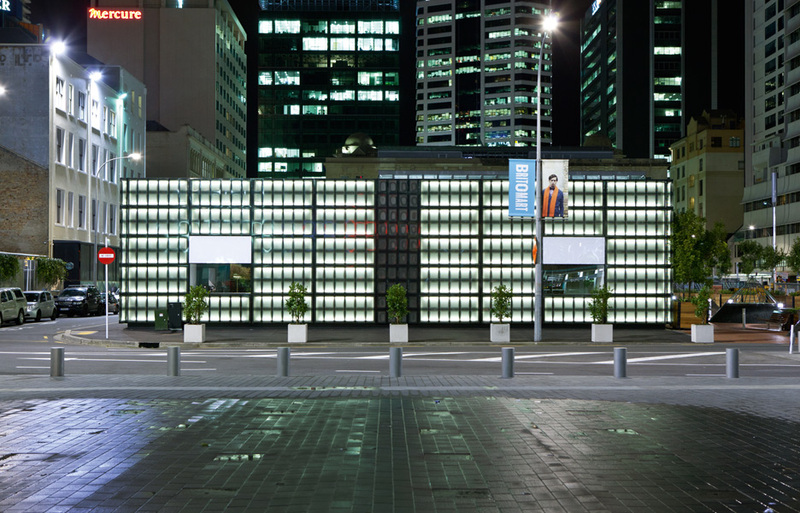 However the assumption that speedy construction can be achieved only by sacrificing quality or cost is disproved by the recent Showcase Buildings in Auckland. 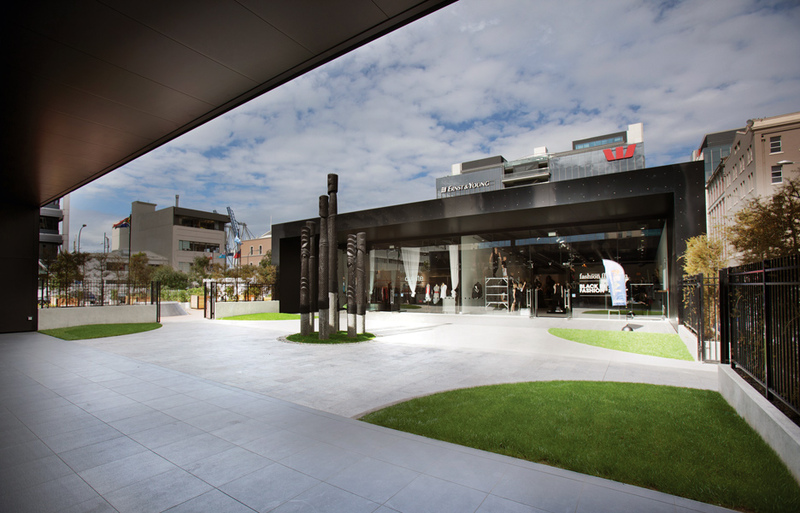 The complex is part of the Britomart development, a rapidly maturing precinct covering nine central city blocks. The blocks around the perimeter are largely occupied by heritage buildings, which are successively being renovated by developers Cooper and Company. The central block was a vacant site earmarked for a large new office building, but the project had been delayed by the current macroeconomic woes. In the meantime, an asphalt car park generated income but hindered efforts to promote pedestrian flow and amp up urban intensity. Cooper and Company were looking for something better to fill this gap in the medium term, but any building would need to be either cheap enough to scrap or removable for reuse elsewhere. As luck would have it, high-end anchor tenants came onto the scene wanting a building for use during the 2011 Rugby World Cup. Cooper and Company’s design gurus, Cheshire Architects, whipped up a concept that was accepted by both tenants and landlord, but only three months remained for the entire detailed design, marketing, leasing, consenting and construction process. The subtlety of the design nestles within the landscaping so as to not become imposing. Cooper and Company called in Stanley Construction, a contractor who has had unusual success with prefabrication and modular projects. They in turn called in Justin Wright of Assembly Architects, prefab specialists with whom they had previously worked on a student hall of residence for the University of Auckland, in which almost 500 fully kitted-out dorm rooms were prefabricated, trucked to site and craned into place on the 14-storey structure. Wright set to work directly with key suppliers and engineer Alistair Cattanach of Dunning Thornton Consultants to develop a construction system. To allow parallel development and prefabrication of the building’s various elements, it was broken down into three systems – structure, envelope and external cladding – each occupying a clearly delineated zone of space and each with its own set of tolerances. The goal was to eliminate check-on-site dimensions, so that the suppliers could have total confidence in their own shop drawings. With everything prepared off-site and designed for easy assembly, on-site work was reduced largely to bolting elements together. One of the most unusual aspects of the project was that it had two sets of architects. Wright’s team at Assembly worked with suppliers to generate technical solutions for Stanley’s use in coordinating work on site. Stanley in turn sent these documents to Cooper and Company for approval, but because so much of the information was highly technical shop drawings, Cooper and Company simply passed everything to Nat Cheshire of Cheshire Architects for comment. Rather than the traditional role of architect as mediator between client and contractor, the architects of the Showcase Buildings stood at each end of the communication chain, design concepts and technical solutions whizzing back and forth between them. Wright and Cheshire’s expertise, and the trust shown in them by their clients, effectively ruptured the quality-cost-time triangle. 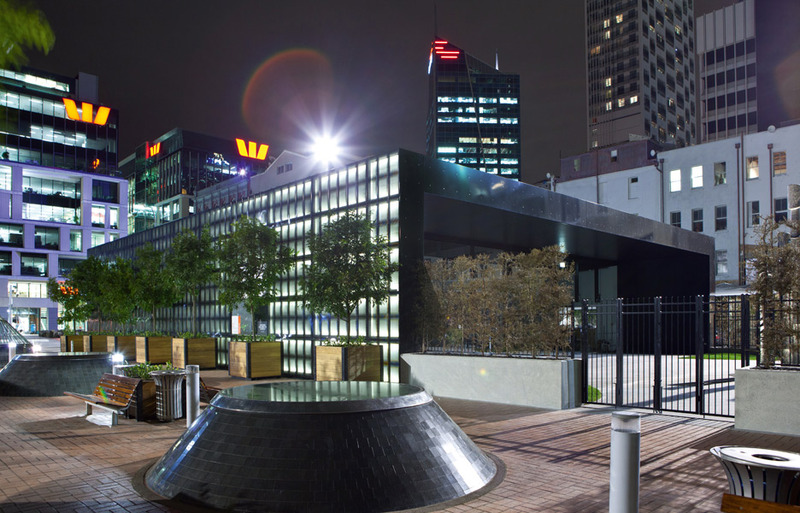 The building was fast, economical and good, with its quality attested to by recent awards from the New Zealand Institute of Architects and the Designers Institute of New Zealand. 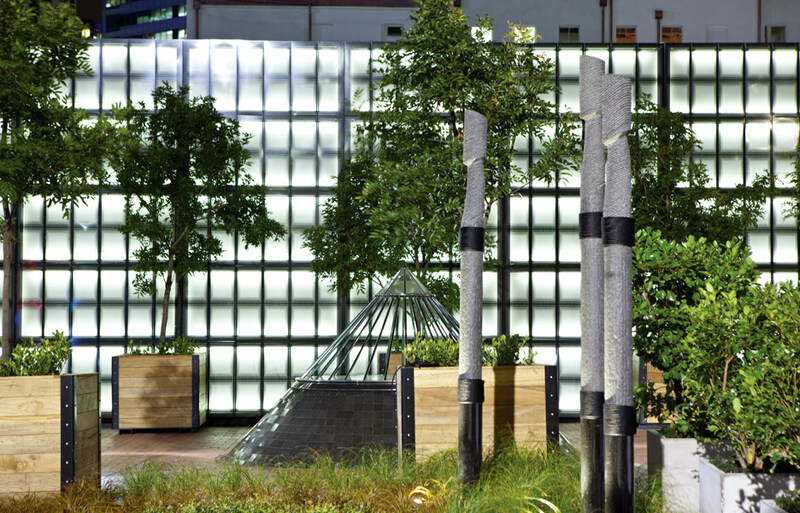 The building opens itself up to the city, attempting to swiftly curate public realm. The need for rapid construction usually implies standardised construction. In the wake of the recent earthquake and tsunami the Japanese government required 30,000 temporary housing units to be produced in just two months, the order being filled with the factory-made units normally used as offices on construction sites. Obeying the quality-cost-time triangle, speed was achieved directly at the expense of quality; satisfying minimum standards and no more, the units burdened already traumatised occupants with uniformly cold, leaky and inflexible housing. Despite a similarly unprecedented timeframe, the Showcase Buildings were by contrast an entirely bespoke solution, with almost every construction detail customised for the project. Such an approach relies on the architects involved being sure of their ability to work with suppliers to rapidly develop solutions and to coordinate multiple systems. The building is a remarkable display of the potential of prefabrication, but it is an expression as much of professional confidence as of industrial methods. 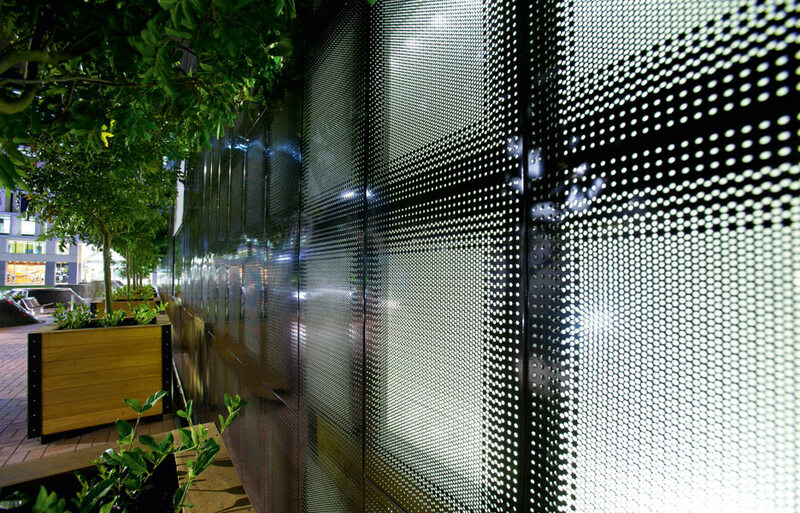 The pixelated screening provides an interactivity to a building programme that doesn’t immediately require such playfulness. If Cologne Cathedral pushed construction time off the long end of the scale, the Showcase project pulled it off the short end. The resulting situations, however, were similar. The master masons of Cologne, the predecessors of today’s architects, were granted the decades and centuries required to fully exercise their astonishing craft. With the Showcase Buildings, the need for near instant decision-making and the technical nature of the information flowing similarly meant that the architects involved were trusted to demonstrate their expertise. Every project has its constraints, but smart architects and enlightened clients can carve out the potential for spectacular results. This article originally appeared in AR 129: The Price of Building.